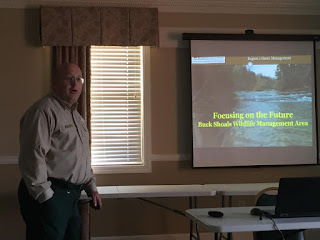 Ken Riddleberger, Game Management Supervisor for Region 2 Georgia DNR, was our guest speaker at the September Georgia Foothills Chapter of Trout Unlimited meeting. 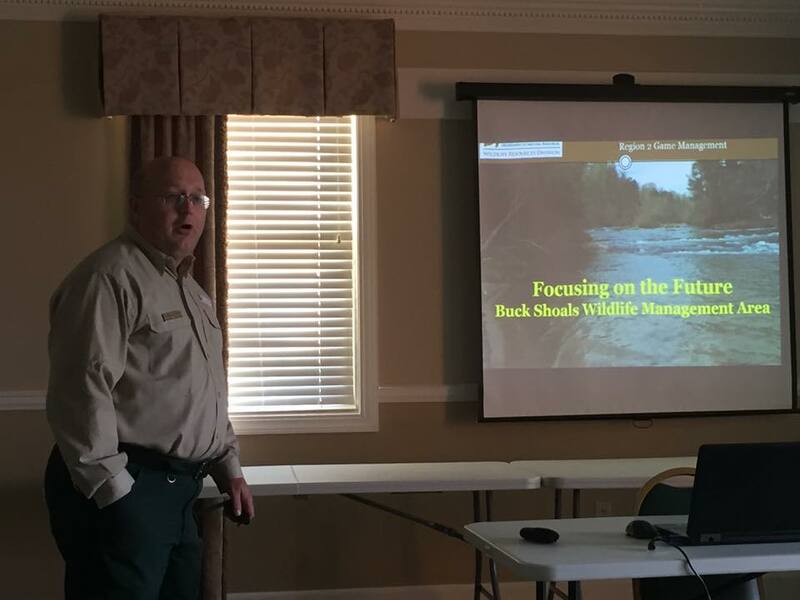 Ken works out of the Gainesville office and is responsible for developing the management plan for the new Buck Shoals WMA. He detailed the first WMA in Georgia primarily devoted to youth hunting and fishing opportunities. He also explained what they have done to provide river access to the general public at Buck Shoals.